In this post, I will be covering the Origin of Predator. Why is he in our game? Was he actually in the Family Guy Series? What is a creature from some strange movies doing in our game? Let’s take a look at the TV Episodes to find out. Peter has racked up a bill at Mort’s Pharmacy and ends up selling Meg to them. Neil ends up falling for another girl. Meg tries to make him jealous by dating Jake. His new girlfriend brags about the quality of film he gave to her when he secretly stalked her. The production quality was better than Kramer vs Predator. Cut scene to Kramer and the Predator sitting in a restaurant. He ends up shooting Kramer. We only hear about Predator in this one during a cut scene of a Coma guy dreaming of writing a Batman vs Predator script. This is just after Brian tells Stewie he likes to write in solitude. Peter and the boys want to go to Canada so Quagmire can take them to Nudie Bars. Peter, being his usual self, decides to go out on the wing of the plane and causes them to crash. They end up stranded and no one knows where they are. After building shelter, Peter reminds them that all they have to do know is watch out for Predator as they are probably watching their body heat. 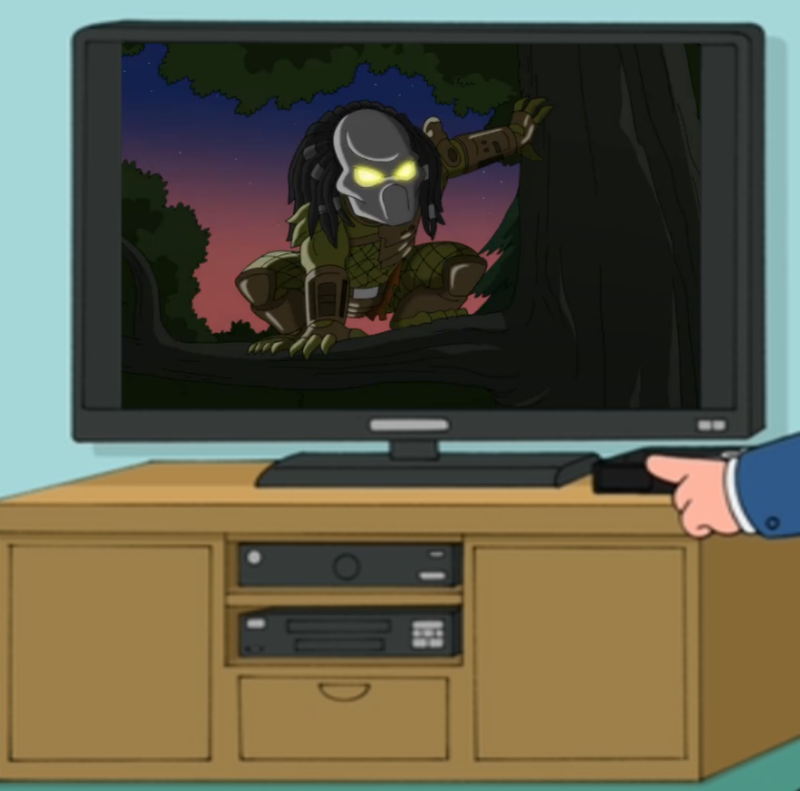 Joe and Quagmire keep telling Peter it is only a movie, but Predator IS watching them and sees the heat of Peter’s fart. Lol. 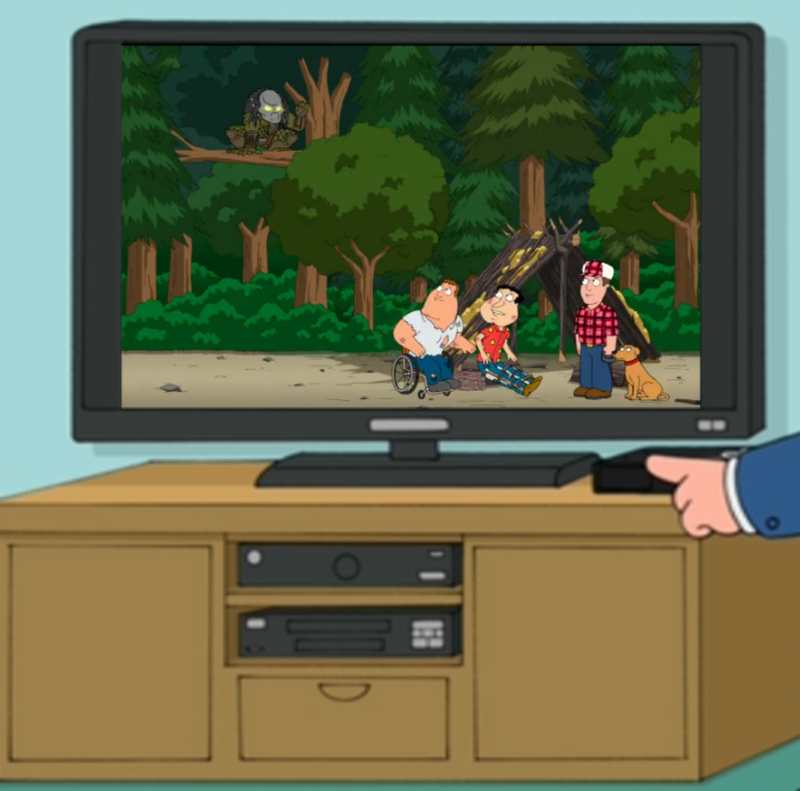 Later after Peter goes for help, Quagmire and Joe realize that someone lives right by the crash and they yell for Peter to come back. 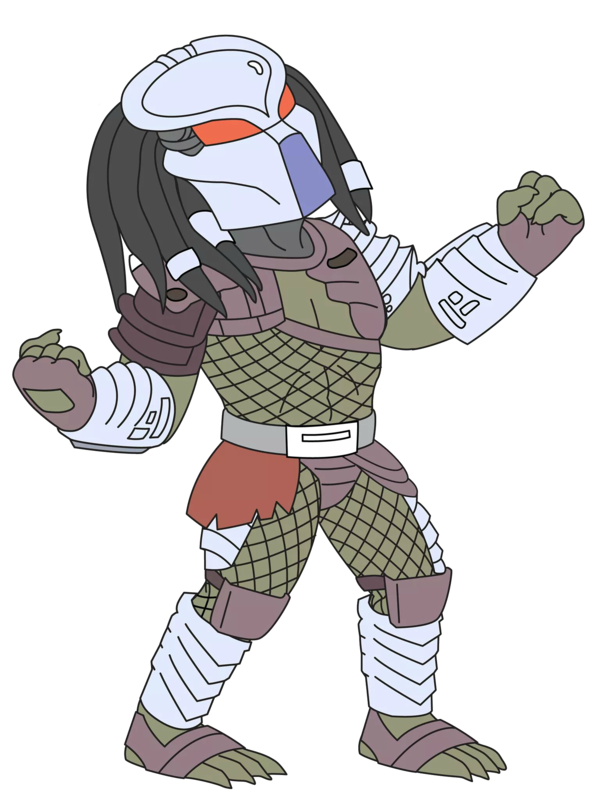 Even Predator joins in. In the Ghostbusters Quahog Halloween Event about a movie, a lot of cool movie Characters/Creatures made their way into our game. What did YOU think of Predator? Are you glad they decided to bring him in? Did you purchase him during the event? Like the ***crackle crackle***? Got any favorite tasks? Let us know your thoughts in the comments below. 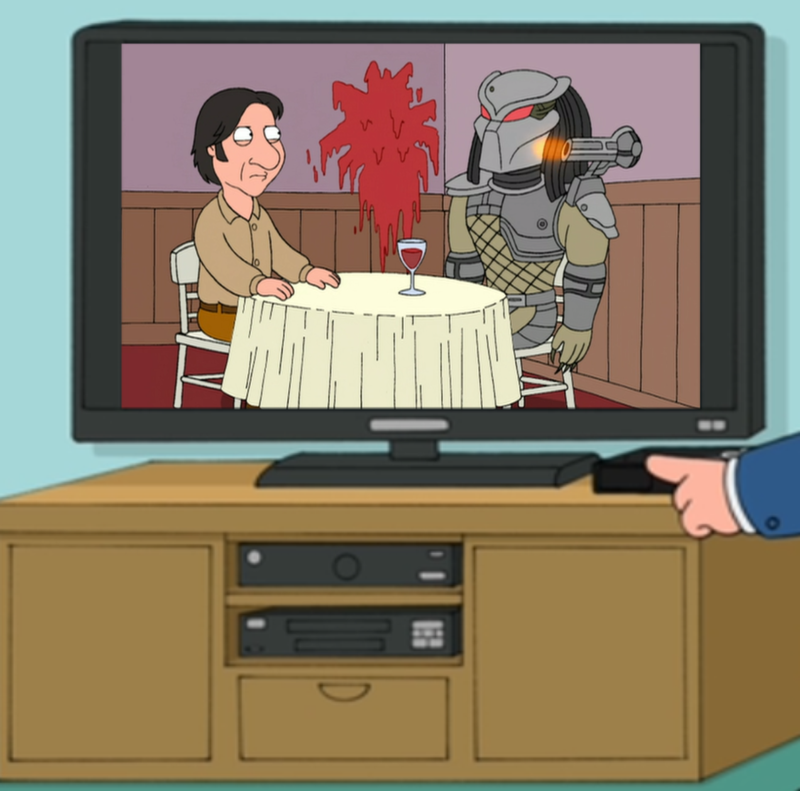 This entry was posted in Where The HELL Did That Come From and tagged Family Guy Addicts The Quest For Stuff, Ghostbusters Quahog Halloween 2014, Nightmare Portal, Predator, Predator vs Alien. Bookmark the permalink. Did any one else notice “The Scary Guys” Disappeared from Face Space? Alien, Predator, Freddy, and Jason. They all had listing and have disappeared. Also American Dad characters have not been added into character totals. hey there bunny !! I know this is a little off topic form this post, but I was wondering. Do you think it is worth purchasing Buzz killington for 250 clams (then get back 100 clams for completing the character category). I was just wondering. I so agree. No mid range tasks unless you want to also use up Peter. I continually keep him on a 12 hour task or longer when I tend to rotate the others on much shorter cycles to maximize cash. cool thanks. I will pass for now. I have 380 clams left from my last purchase and I was debating on Buzz. since AD is in town, I will hold off to see if something better comes up. Does anyone seem to notice that the facespace page for predator, Jason and the others are missing or is it just me? We did. They keep most recent released characters up top. They eventually filter them in somewhere. Okay thanks. I hope they return eventually. Just for completeness. I bought all the characters from the event. My favorite has to be the quest line for Alien though. Predator does have funny tasks though. “Talk it out” has to be one of my favorites.